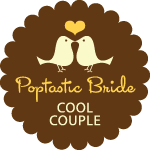 Do you like Poptastic Bride? 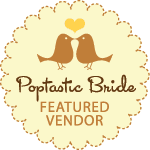 Have you a been featured as a vendor or cool couple? Link to us from your blogs using the following badges.